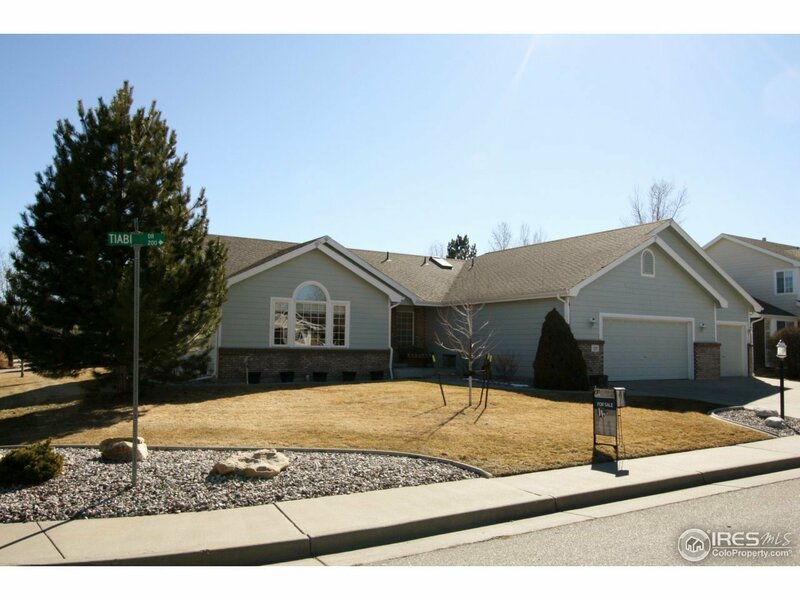 Beautiful ranch style home on a large lot in southwest Loveland. This home has been meticulously cared for and is ready for new owners to make it their home. Main floor open space w/ large living room, kitchen w/ granite counters & hardwood floors, plus a full finished basement for recreational usage with family room, wet bar, bedrooms & full bath. Huge 1028 SF oversized heated 3 car garage. Newer furnace, A/C, and int/ext paint. Quiet neighborhood.